This is the first of two articles on using trench maps in your research. 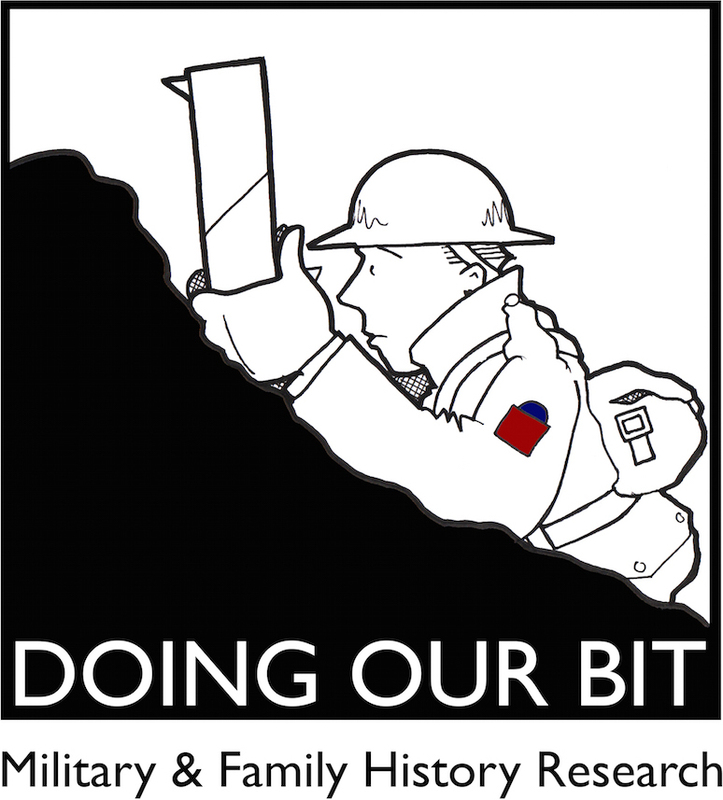 Part 1 provides an overview of digitized trench map resources while Part 2 will include tips on finding and interpreting map references as well as provide several research examples. In 1920 the Geographical Section at the War Office estimated that the British produced a staggering 34,000,000¹ printed maps of Belgium and France during the First World War. They were critical tools used to plan and carry out operations on the Western Front and a century later these detailed maps have become a valuable resource for historians and researchers. Your First World War research will benefit from knowing where to find map references in historical documents, learning how to interpret them and subsequently plotting their position on paper or digitized maps. Pinpointing a location can be very rewarding, especially if you’re planning a visit to France or Belgium. Even if you’re not heading overseas there are technologies, such as Google Streetview, that can help you ‘virtually’ visit locations relevant to your research. The digitized trench maps and aerial photographs collection at McMaster’s University was launched in 2003. It includes approximately 1,500 maps, nearly 900 of which were purchased from the collection of Dr. Peter Chasseaud in 2009. While topographic and trench maps of France and Belgium make up the majority of the collection the website also features maps from other theatres of war including Gallipoli, the Middle East, Africa and eastern Europe. Additional maps are organized by various themes, such as Barrage maps, Aerodromes and Hospitals, Railway and Ammunition dumps, etc.. The heart of the collection consists of French and Belgian topographic and trench maps ranging in scale from 1:40,000 to 1:5,000, all of which are accessible through their Visual Search Engine. Clicking on a map sheet number opens a separate window containing a list of maps of every scale located within that area. Each listing includes a link to a zoomable map that can be used online or downloaded in a variety of resolutions (be aware that some of these files are extremely large). A helpful “breadcrumb trail” at the top of each map page shows exactly where you are within the collection. The Visual Search Engine also includes a very useful Place and Trench Name search function. 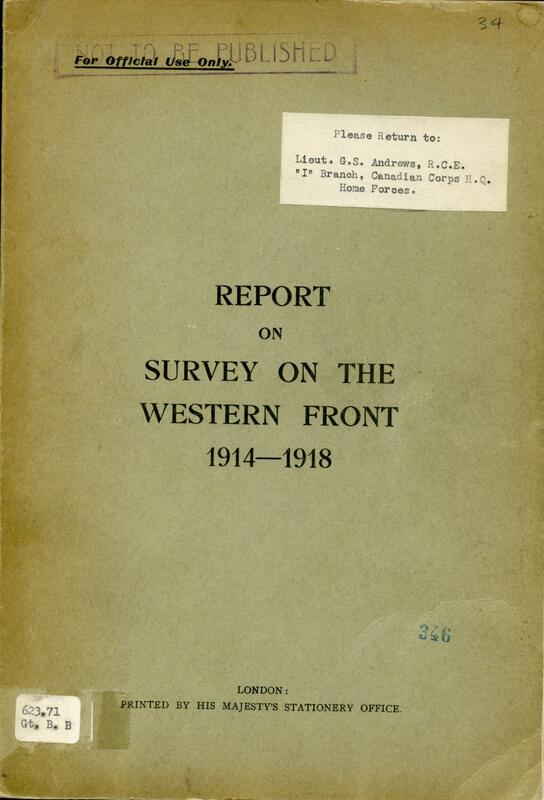 The website includes information on the evolution of mapping on the Western Front as well as interpretive guides to map references, map symbols and the numbering used on aerial photographs. The National Library of Scotland (NLS) includes over 300 digitized trench maps in its British First World War Trench Maps, 1915-1918 collection. The website offers several methods of viewing trench maps however the zoomable overlays on top of a modern Google or Bing map option is the most intriguing. This interface allows you to adjust the transparency of the trench map layer such that it reveals the modern map beneath. Visitors to the website can print portions of maps however fees apply if you wish to order a print or digitized copy of the map. Similar to McMaster this website includes background information and interpretive guides on mapping, numbering and symbols. Tip: After clicking “As zoomable overlays…” from the home page choose “Belgium/France, WW1 Trench maps” from the “Select a category” drop-down. Then choose the specific map from the “Select a map / map series” drop-down and click “Zoom to this map / map series”. A company called Great War Digital has produced a series of “Linesman” digitized trench maps for PCs as well as for GPS units, phones and tablets. The phone and tablet versions work in conjunction with a Memory Map app that can be downloaded for free from the Apple App store or Google Play however the maps themselves must be purchased (for more details visit their website). I have never used this product and therefore have no information on its reliability or ease of use. Note: The National Library of Scotland map collection interface includes a “show my location?” checkbox. Although I’ve not used it myself this option will presumably show your current location if you are viewing the map on a GPS-enabled smartphone or tablet. Some Canadian and British unit war diaries include maps related to specific operations. Look for these in the appendixes that are often attached to a unit war diary’s monthly summary. Original trench maps can sometimes be found for sale online or at shops specializing in militaria. Fortunately many of the 1:10,000 trench maps have been reproduced by G.H. Smith & Son in England and can be purchased for £3.25 each. Note: the reproductions are approximately 70% of the original map size. For those of you wanting access to trench maps without requiring internet access you will want to check out The National Archives British Trench Map Atlas: The Western Front 1914-1918 DVD. It includes over 700 1:10,000 trench maps, each with commentary by Dr. Peter Chasseaud, as well as an index to over 20,000 trench and topographical names. A second DVD is also available which includes more than 750 “Special Sheets”. The DVDs are often available for purchase from Naval & Military Press at a cost of £145.00 each, although discounts are sometimes available. Warning: according to their website these DVDs are not compatible with Macs. Wonderful article on a topic I have always wanted to get in to but did not know where to start. Thank you so much. You’re welcome Elaine … Part 2 will include a few case studies designed to help those unfamiliar with the map references pinpoint specific locations on both a trench map and a google map. Thanks for your feedback!